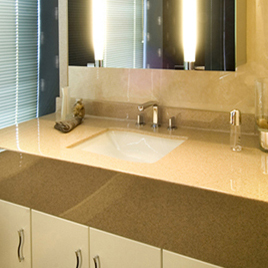 Versital solid surface shower panels are the perfect alternative to tiles. They eradicate the need for grouting and being made to order to preferred sizes make installation easy. They are ideal used in conjunction with Versital Shower Trays but can be used with other shower tray brands. 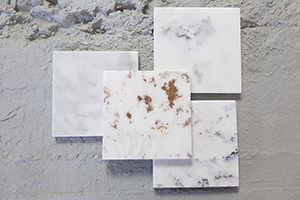 Versital offers an incomparable colour range to choose from including 90 marble, granite and sparkle finish options. 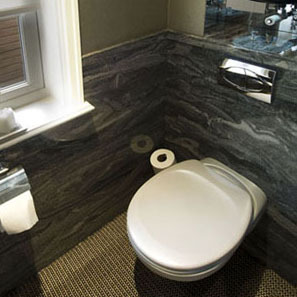 Other products include shower trays, bathroom vanity tops and dado in matching finishes. 100% Waterproof & No Grouting! Create a designer bathroom with fabulous colours and textures with little mess and easy installation. No messy grouting – simply install with sanitary grade silicone. 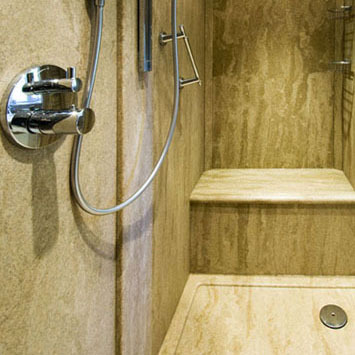 Versital shower panels are manufactured from high quality stone resin. 100% nonporous, stain resistant, easy to clean and hygienic. 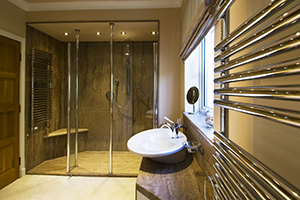 You have the option of made to measure shower panels in the full range of finishes. 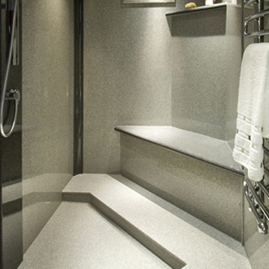 Versital high quality stone resin shower wall panels are ideal for wetrooms and steamroom. Versital’s high quality shower panels are available in a large range of sizes including made to measure and standard options. All shower panels are 100% waterproof and easy to install – no need for tanking. 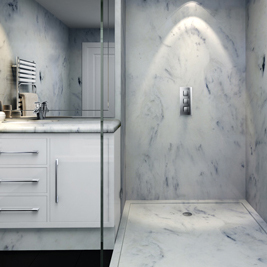 With Versital bathroom surfaces it is possible to have the natural looking marble or granite bathroom you have always dreamed of, without the problems the natural material brings. Versital does not require sealing on installation, and does not require upkeep or re-sealing to remain waterproof. Complement your shower panels with a matching stone resin shower tray from Versital, available in the full range of over 90 colours in marble, granite and sparkle options. Versital shower panels are available made to measure to your exact specifications. Get a personalised shower panel quote. Call us direct on 01204 380780 to find out more and place an order. Versital shower panels are 100% nonporous, extremely hygienic, have no-where to catch dirt, do not water mark and are extremely stain resistant. No harsh chemicals are needed to keep it looking as good as new. A simple wipe down with a gentle cleanser will suffice. A fantastic bonus with Versital shower panels is that they do not require grouting to install and only need sanitary grade silicone to seal. 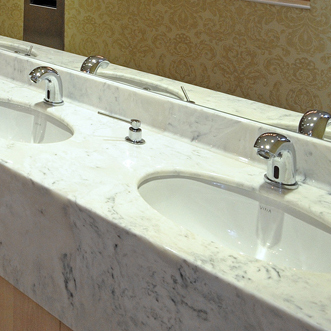 They also do not require treating on or after installation unlike natural marble. If you are a trade customer, designer or have an account, please contact us direct for a personalised shower panel quotation.